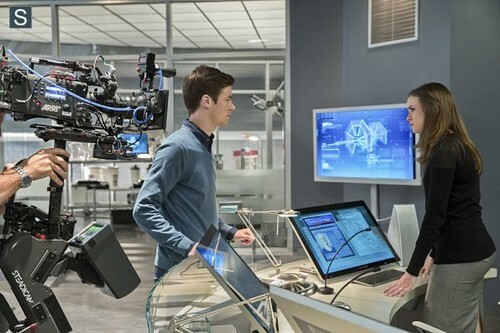 The Flash - Episode 1.03 - Things Du Can't Outrun - BTS Pic. . Wallpaper and background images in the The Flash (CW) club tagged: photo cw the flash season 1 1.03 things you can't outrun bts. This The Flash (CW) photo might contain geschäftsanzug and business-anzug.